The SMHS Simulation Center is a hands-on simulation training facility for multidisciplinary health care providers. 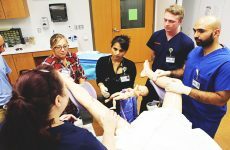 The state-of-the-art space offers a clinical setting where health professionals can actively apply their knowledge in simulation, observation, and debriefing of real-life patient scenarios, with the goal of improving patient safety and care. 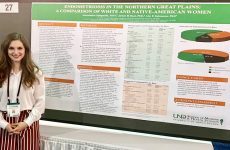 The innovative facility is the only one of its kind in North Dakota; its mission is to use interactive simulation in teaching, educating, and providing an arena for research in health care. Simulation In Motion-North Dakota (SIM-ND) is a program that sends the Simulation Center on the road in the form of four custom-built, 44-foot long learning labs on wheels. SIM-ND units bring simulation education to all third-year medical students training on SMHS campuses away from Grand Forks. Units also provide health care education to rural areas of North Dakota so emergency responders and other providers can upgrade their skills closer to home rather than leave their service areas for training. 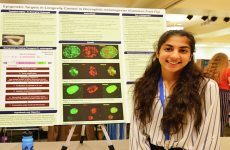 On the third Thursday of November every year, NOSORH leads National Rural Health Day, an annual day of recognition for those who serve the vital health needs of nearly 60 million people residing in America’s rural communities. NOSORH is the member organization serving all 50 State Offices of Rural Health (SORH) with North Dakota’s state office headquartered in Grand Forks. SORHs provide support to rural hospitals, clinics, and first responders in several ways including technical assistance, funding that supports workforce development, population health management, quality improvement initiatives. In 2015, NOSORH asked each SORH to nominate hospital and emergency first responder teams, community health, and volunteer service heroes on the front lines of rural health who were making a positive impact on rural lives. Soon after the stories started coming, the book of National Rural Health Day Community Stars was published. 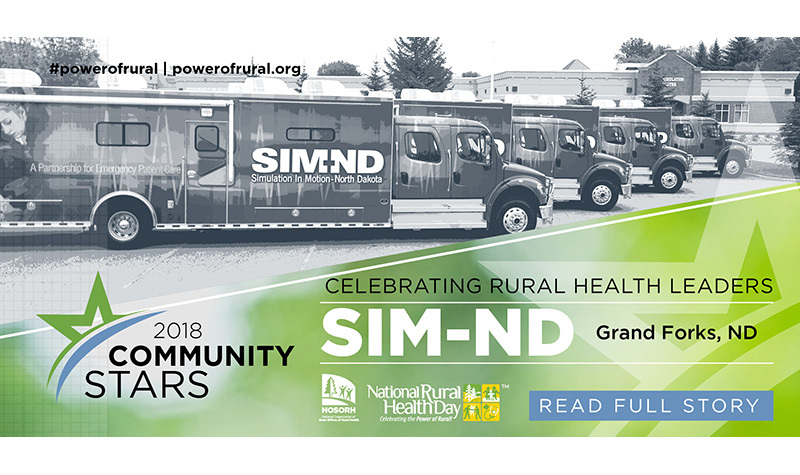 SIM-ND appears in the 2018 Community Stars book available online at: https://www.PowerofRural.org, the official hub for National Rural Health Day and the Power of Rural movement. The CRH is designated as North Dakota’s SORH, a federal-state partnership that helps rural communities build their health care services through collaborations and initiatives with a wide range of partners across the state. SORHs provide support to rural hospitals, clinics, and first responders in several ways, including technical assistance, funding that supports workforce development, population health management, quality improvement initiatives, and more.